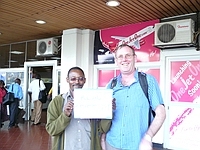 Greet and meet Nairobi Airport. to Maralal. Simple lunch on the way. Arrive late afternoon in Maralal. After Breakfast drive via Baragoi and South Horr to Loyangolani. Simple lunch on the way. Whole day in Loyangolani, visit different places. Drive over Maikona to Marsabit. Drive to the Samburu National Reserve. Whole Day on Game drives around the Samburu Game Reserve. Drive via Isiolo to Nairobi. Drop of to your Town Hotel. 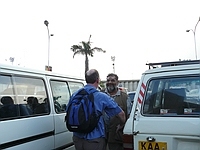 If your Safari starts from Nairobi, add the Flights Mombasa – Nairobi – Mombasa and the Transfers to/from your Beach Hotel. note that we are Kenyan citizens and kindly don’t include transport..